Over the weekend my husband and I headed down to York Pa to go to the small paws expo. It's for dogs under 25 pounds, and it all benefits rescue groups. 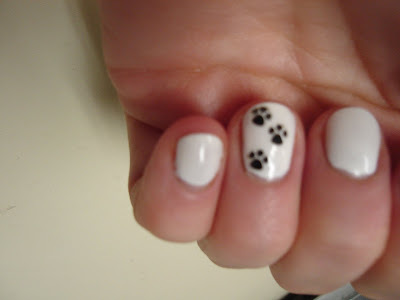 We had a great time, and in honor of the occasion I broke out some nail decals. I usually don't like the look of nail art on me, but I was so happy with how my nails turned out, and we had a great time! 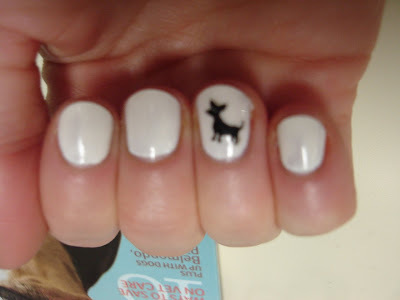 These decals are by fing'rs, and the polish is Opi Alpine Snow.